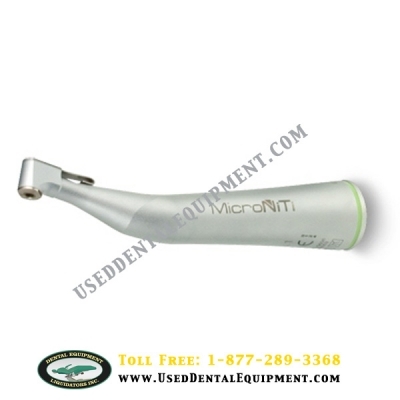 The MicroNiti Rotary Endo Handpiece is the perfect endodontic solution. The mini- and micro-heads are small, increasing visibility and making access to the posterior of the mouth much easier. This dental handpiece is available in push button or swing latch and works will all brands of rotary endo files. With ratios of either 8:1 or 16:1, this MicroNiti endodontic handpiece is fast enough to work with highspeed files like Hedstrom and Gates Glidden.